Two years ago, Air France employees passionate about the cause formed Les Hotesses De L’Air Contre Le Cancer, or flight attendants against cancer, to raise support for Breast Cancer Research Foundation (BCRF) in France and worldwide. Flight 688 was operated by crew and survivors affected by the disease and was the first international Air France flight to raise money for BCRF. Flight attendant Astrid Aulong-Beaumont started the Air France campaign after losing a dear friend to breast cancer, saying her inspiration came from watching Delta support BCRF for 12 years. 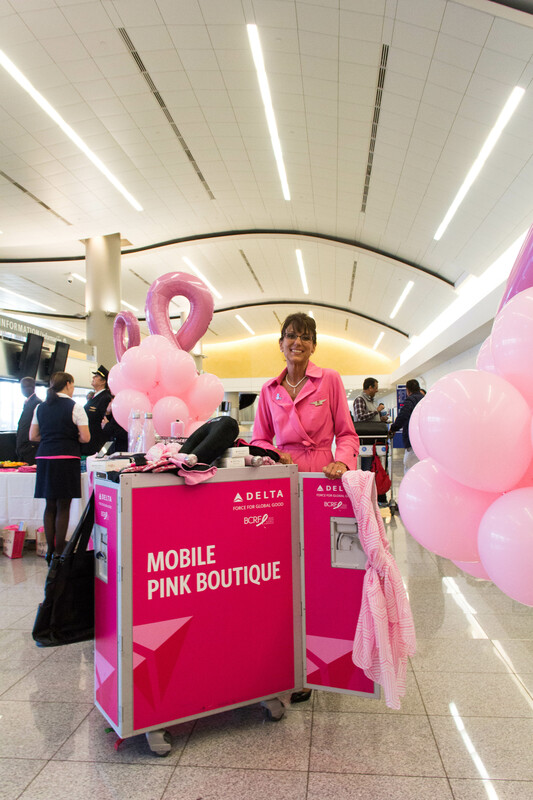 Delta has raised over $13 million for breast cancer research since 2005 and operates “pink” flights annually during October. She envisions their grassroots movement growing to the same scale internationally. “When our partners join Delta in carrying us closer to a cure, it maximizes awareness,” said Tracy Foster, Manager - In-Flight Service for Delta. “I just kept thinking – if there is one of us, there must be more,” said Ruiz Pierre, an Air France flight attendant, who joined Les Hotesses De L’air during her three-year battle with breast cancer. Onboard, the flight attendants sprinkled announcements for breast cancer awareness throughout the flight. Customers were given the chance to purchase pink bag tags to support cancer research. Ruiz and crew were a vision in pink stepping onto the International Terminal in Atlanta, wearing ribbon pins and sashes detailing their uniforms. The flight was greeted by a Delta celebration outside of the concourse. Delta employees began to cheer, as employees of the two partners stood and applauded each other in their own languages. The lobby was draped in pink with balloons, goodie bags and treats for the crew and customers. 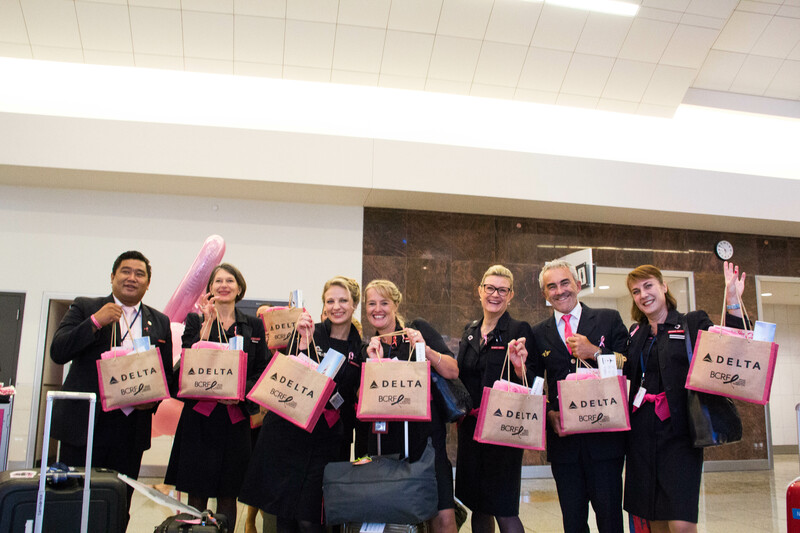 During the month of October, customers on Delta flights can purchase goods and donate to cancer research while onboard. Donate funds or SkyMiles year-round at www.delta.com/BCRF.